I’ve been thinking a lot about the term e-discovery and how much I’ve grown to dislike and distrust it over the years. At best, it’s an unnecessary term. At worst, it’s a ploy to compound the complexities of an already expensive and time consuming process. It’s led to an onslaught of other made up terms that arise to confuse us on a daily basis such as my personal favorites ESI (Electronically Stored Information) and ECA (Early Case Assessment). Do we really need to memorize acronyms for those? It has completely distracted us from the core discovery process, which I would say is as simple as identifying, reviewing, and producing relevant information. Let’s explore. First off, is it still necessary for us to qualify everything in our lives as electronic? Did you listen to e-music today during your morning commute? Clearly a very small percentage of the music we listen to these days is analog. And clearly there is a very small percentage of discoverable information in paper form. It’s just discovery but the format of the information has changed. Music is just music and so it goes with discovery. Why does it matter? You might be thinking that adding the “E” doesn’t hurt anything, but in my experience it opens the door to a slew of unnecessary complexities. An industry has been unleashed to scare us all about the challenges of e-discovery. It’s true that the amount of discoverable information has grown exponentially because of technologies like email, multi-media, and social media but then again the tools for managing that information greatly offset those challenges. Honestly, would you rather have to parse through 10,000 pages of paper or 1,000,000 pages of electronic information hooked into a search engine and available anytime via an internet connection? I’d take the million. The other issue I see is that e-discovery has been used as an excuse to tack on additional unreasonable complexities to the discovery process. There is clearly an important place for forensics experts in the industry, but haven’t things gotten out of control? Asking people to review the full forensically sound chain of custody and history of a document would be like dusting and fingerprinting every single piece of paper you find in a file cabinet. And then producing that along with copies of the document to the other party. It’s just not reasonable. E-discovery has opened the flood gates for people, mostly our technology peers citing some pseudo-technical expertise, to scare people into investing far more resources than necessary to manage the discovery process. I’m sure you can think of many more examples. It took me a long time to distill the simplicity of this discovery process but these days I’m resolute in breaking down the false complexities that this industry has created. Granted, for many matters, executing on discovery will be expensive and time consuming. Mostly due to the volume of information that needs to be reviewed. But the technical complexities really aren’t so bad. It’s a process as old as our legal system and as a simple as identifying, reviewing, and producing relevant information. Sorry, I mean e-information. See Rakesh’s take as well on Frank from ’08. We’re excited to be adding some new engineering power to the Nextpoint Lab team. If you know anybody that might be interested, please pass along our posting. Thanks! Nextpoint is currently looking for talented software engineers to assist us in building the next generation of web-based litigation technologies. We are the pioneers of cloud computing in the legal industry with products that help corporations and law firms manage their evidence, e-discovery, and electronically stored information. This is an exciting opportunity to play a key role in developing industry shaping products with an established market leader. This is a full-time, salaried position. Compensation is competitive and commensurate with experience. With full time employment, the company offers a full range of benefits including paid vacation, 401k plan, and health insurance. The Nextpoint Lab is an informal, creative, and energetic team environment located near downtown Madison on Lake Monona. We’re a hard working group that encourages engineers to develop a rounded skill-set including functional and architectural design, development, testing, and project management. Check us out at nextpointlab.com. If interested in the position, please send your resume and cover letter to engineers@nextpoint.com. We’re excited to announce our newest product CloudPreservation.com! Check out the press release http://pnt.me/cp-pr and we’d like to invite you to sign-up and join the beta program. We’ll be posting a lot more information on CloudPreservation.com in the near future. 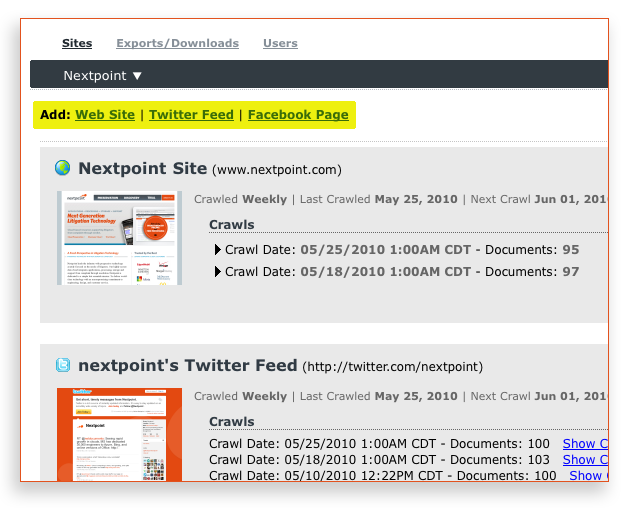 It’s a completely web-based solution for preserving your website, blog, and social marketing content. It’s a blast to use, seriously affordable, and for legal and compliance reasons a must-have for every organization. One final note, while the service is in beta we’d like to encourage any and all feedback. 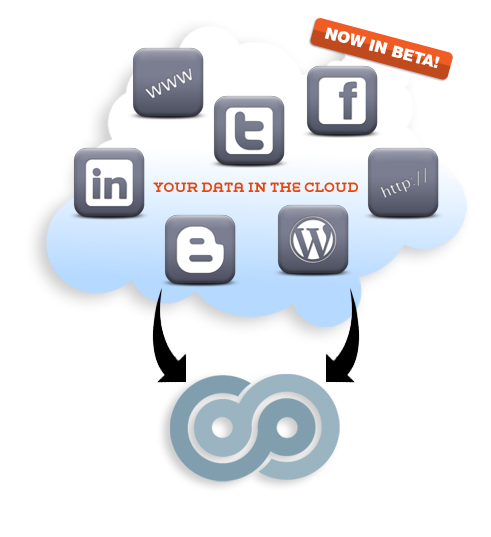 Feel free to comment right here on the blog or email us at cloudpreservationbeta@nextpoint.com. We value your insight and look forward to hearing from you!